Sorry about not being around everybody, been dealing with some stuff on the side that kept me busy. Wish I could've come back sooner, but anyways here I am and I'll make sure I'll stay constant. 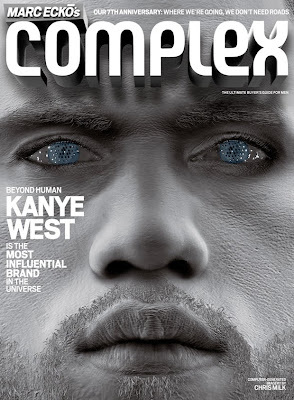 This is the upcoming Kanye West cover for Complex magazine, check it out, it's pretty creative and inspiring.